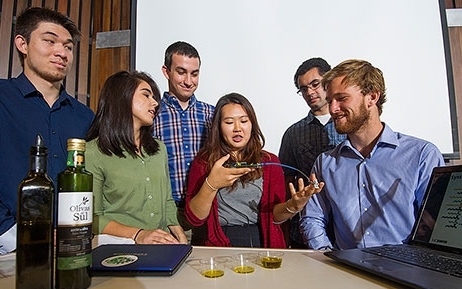 A student team composed of some of the best and brightest young minds at UC Davis took the grand prize last week in an international competition for the high-tech biosensor they created to detect low-grade or adulterated olive oil. The award was presented to the Aggie inventors during the finals of the three-day global iGEM (International Genetically Engineered Machines) competition in Boston. The competition, this year featuring 245 teams from Asia, Europe, Latin America and North America, challenges student teams to design and build biological systems or machines and present their inventions in the international competition. The students had spent several months designing and building the palm-sized biosensor, which they dubbed OliView. The biosensor is equipped to quickly and easily evaluate the chemical profile of oil, providing producers, distributors, retailers and ultimately consumers with an effective, inexpensive way to ensure olive oil quality. Verifying olive oil quality is a concern for consumers – many of whom are willing to pay higher prices for the health benefits and flavor of true, extra-virgin olive oil. And honest olive oil producers want to prevent other producers from passing off sub-par olive oil as the real deal, while retailers, distributors and producers want a quick, easy way to ensure olive oil quality. In addition helping detect fraudulent olive oil, the students' new biosensor will also monitor for good oil that may have gone rancid with age. The team of undergraduate students included Lucas Murray, Brian Tamsut, James Lucas, Sarah Ritz, Aaron Cohen and Simon Staley, with Yeonju Song serving as the “shadow” or alternate team member. You can tune into Aaron Cohen's recent Nov. 6 Science Friday interview during a discussion of synthetic biology. The full story and a brief video about the new olive-oil biosensor and this stellar team of young inventors are available at: http://news.ucdavis.edu/search/news_detail.lasso?id=11076. Reports on olive-oil quality are available at the web site of the UC Davis Olive Center at: http://olivecenter.ucdavis.edu/research/reports. Today's dorm food is far superior to the tasteless, over-processed foods of decades past. No more mystery meat or mushy vegetables. Campus dining services across the country are providing a diversity of fresher and healthier foods, much to the delight of food-savvy students who want variety, flavor, and nutritious choices. Well... being students, they don't always make the healthiest choices, but educational programs at campus dorms are turning the tide toward more-healthful eating. 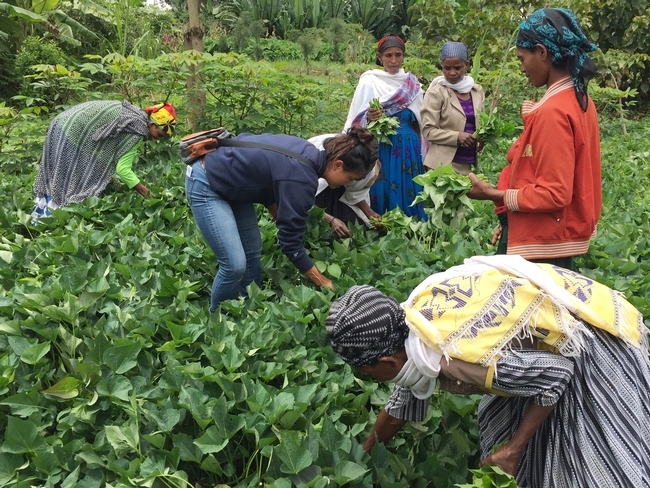 At the same time, chefs and food buyers at universities, particularly the University of California, are selecting for high-quality fruits and vegetables, produced locally and sustainably. Universities with strong food sustainability programs are rightfully proud of what they're doing to educate students about food production, health, and nutrition. UC Davis Dining Services prioritizes the purchase of locally grown food (ideally within a 50-mile radius of campus). Most University of California campuses have similar programs. 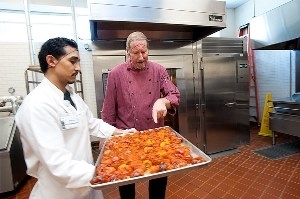 At UC Davis, fresh roma tomatoes are picked each August from the 300-acre Russell Ranch, part of the campus's Agricultural Sustainability Institute, then processed within hours by campus Dining Services to provide year-round tomato sauce for pizza, pasta, and ratatouille. All told, 10,000 pounds of tomatoes are processed during a two-week period in August. About 29 percent of the total food served in the campus's residential dining halls is from local, organic or sustainable sources. 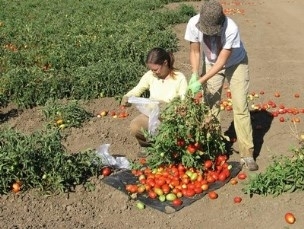 The tomatoes grown at Russell Ranch are part of a long-term academic research project that examines factors such as farming methods, irrigation needs, crop rotations, yield, and nutritional content. At the end of the growing season, some of the many tons of tomatoes are purchased by Dining Services at market value. Many UC Davis faculty and staff are so impressed with the food choices at the dorms that they purchase individual meal tickets and enjoy lunches made with the campus-grown tomatoes, herbs, and other vegetables, all of which are part of the daily food array. Public dinners are also offered periodically at the dorms so that community members can sit amongst students to taste and learn about the sustainability programs in the dorms. California's drinking age of 21 prohibits many undergraduate students from learning critical skills early in their academic careers — sensory skills that they will need when they move on to jobs in the multimillion-dollar winemaking, brewing, and food industries. 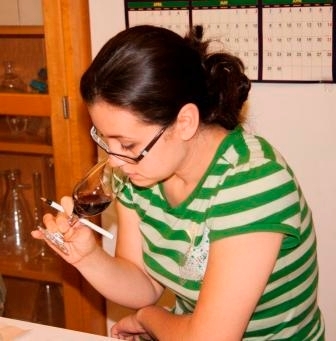 Not until students turn 21 can they taste the wine and beer they make and learn to assess its sensory quality. Learning the characteristics of a wide assortment of good (and not-so-good) wines and beers is an important component of winemaking and brewing. Having to wait until their junior or senior year to learn these skills is a disadvantage for these students. Legislation (AB 1989) has been proposed by California Assemblyman Wesley Chesbro (D-North Coast) that will allow students, ages 18 to 21, enrolled in winemaking and brewery science programs to taste alcoholic beverages in qualified academic institutions. The students can taste, but not consume — which means they must learn the professional practice of spitting during the tasting process. 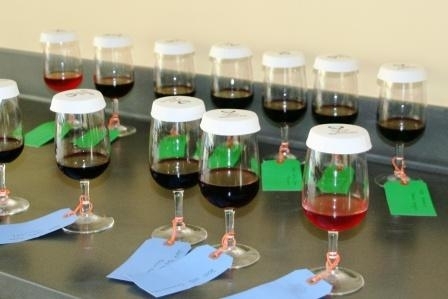 Professor Andrew Waterhouse, an enologist in the Department of Viticulture and Enology at UC Davis, notes that tasting is critical to the students' education. If the legislation passes, it will benefit enology and brewing students at UC Davis, which is the only University of California campus to offer undergraduate degrees in viticulture and enology and in brewing science (an option within the food science major). While parents of college students may worry that the bill will open the door to widespread drinking, Waterhouse and Brenneman both noted that the focus of the bill is so narrow that its impact will benefit a limited number of students, and that it's unlikely to lead to excessive drinking. They say that the over-21 students routinely spit what they're tasting in a standard industry manner, and that “drinking” in class is not a problem. With passage of this bill, which is backed by the University of California, the state will join 12 other states that have allowed this educational exemption for students. On an unusually cool July morning at the UC Davis Student Farm, students are harvesting tomatoes and other produce for the farm’s Community Supported Agriculture (CSA) membership program. The CSA baskets are pre-sold to members of the campus community and are among the ways students participate in the campus food system. “It’s more than a way to sell food. 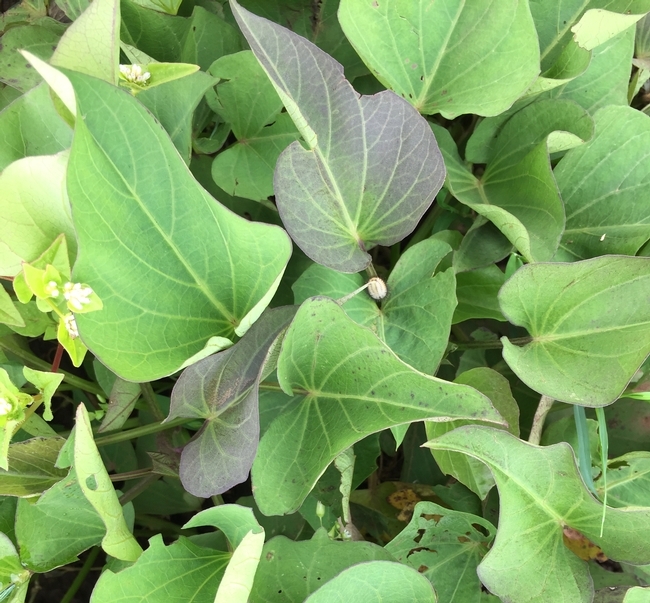 It builds community, and that’s a powerful thing for students to learn,” said Raoul Adamchak, who coordinates the CSA and the Market Garden where the produce is grown. Over the years, those involved in UC campuses’ food systems have garnered powerful lessons from students as well, resulting in organic gardens, student farms and increasingly sustainable food options at dining halls. 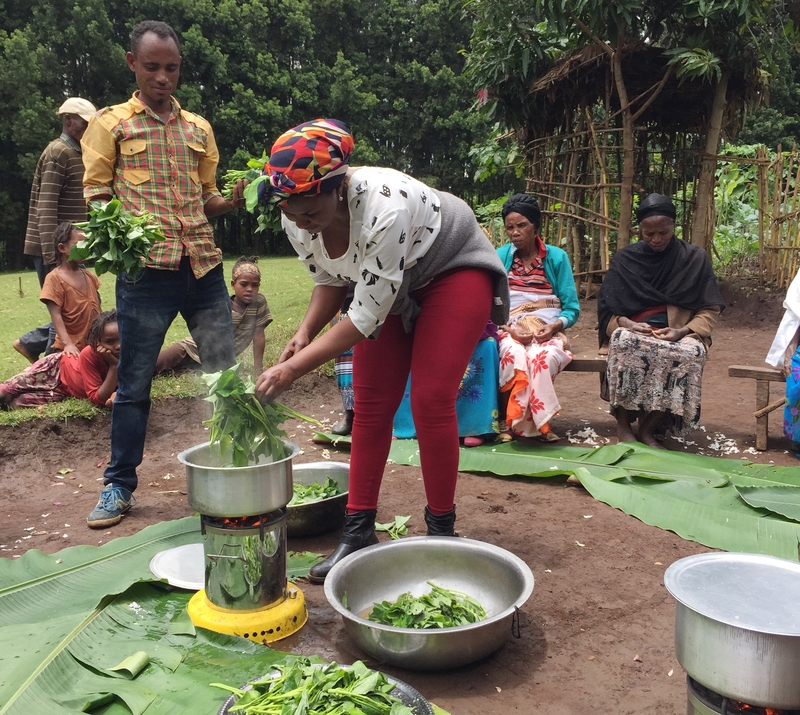 These student-initiated components of campus food systems continue to nurture student opportunities to learn and get involved. 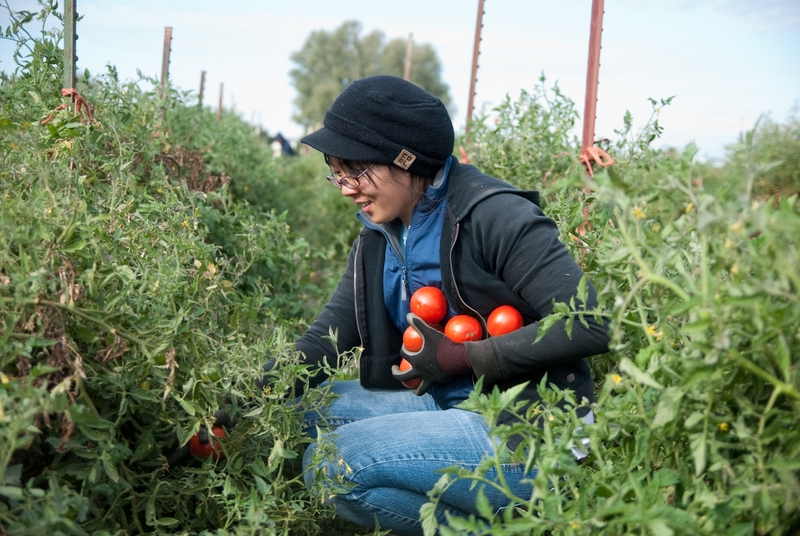 While the Student Farm has run its CSA for 16 years, the farm has been a part of the campus food system for 30 years by selling fresh organic produce to the UC Davis Coffee House, which is run by Associated Students, UC Davis. Most recently, it began selling produce to Sodexo-run UC Davis Dining Services – further diversifying its customer base. 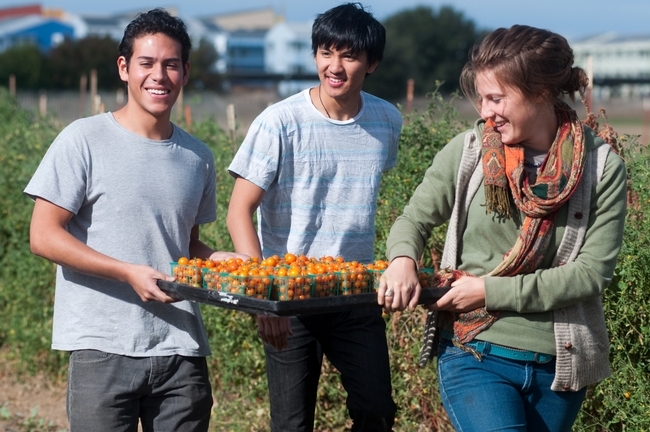 Dining Services also serves a key audience – incoming undergraduates and potential interns for the Student Farm, Russell Ranch at UC Davis and other programs that contribute to the campus food system. “We’re trying to engage students in the food system so they can learn about where their food comes from and what’s in it,” said Dani Lee, UC Davis University Dining Services’ sustainability manager. Dining Services labels the origin of campus-produced food. It regularly hosts outreach events, features displays about and organizes tours of the Student Farm, Russell Ranch and other campus-based partners. It has also established internships for students interested in waste reduction, gardening and sourcing food more locally. Lee and Van Horn hope these efforts will help inspire students to learn more. UC Davis Dining Services already exceeds the UC goal of 20 percent sustainably produced food by 2020, but it isn’t stopping there. 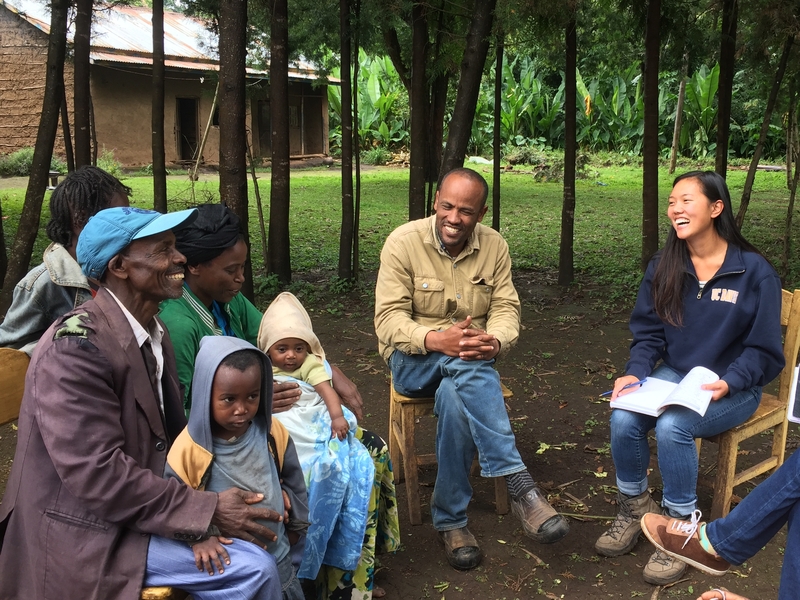 “We’re constantly working on sourcing more products locally,” Lee said. 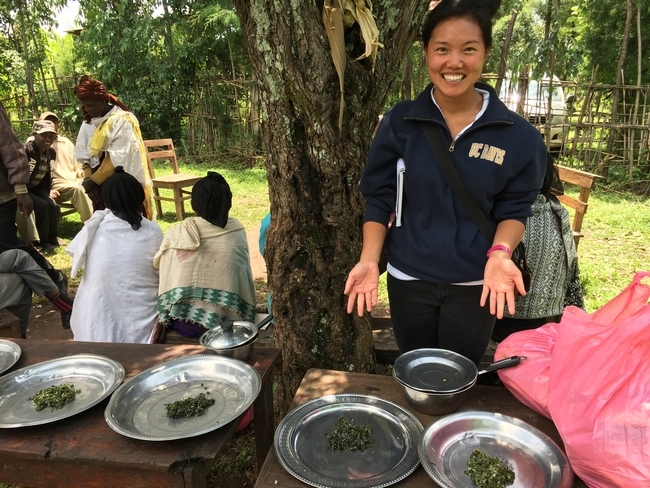 Lauren Cockrell, a fourth-year UC Davis student majoring in Sustainable Agriculture and Food Systems is pleased with the trajectory and believes ensuring student involvement in the effort to build a more sustainable food system is key. “I’d like the next step to be an independent, entirely student-run food retail business that, at its core, values sustainability,” she said.